I’m sorry but I simply don’t get it, what is all the fuss over Bird Box about? Yes, it’s ostensibly a good film. The production is smooth, if uninventive. 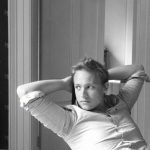 The script is pretty standard, and the cast all offer worthy performances. But that’s about it. The plot itself isn’t new. It’s a standard end of the world apocalypse type film that doesn’t really deviate from the well-trod path that such plots take. Yes, it’s a female lead rather than a male one, but this in itself shouldn’t be cause for all the praise Bird Box has had. Of course such films can and should have female leads, and many do even if sadly not given solo top billing like Sandra Bullock is in this instance. The entire thrill of the film is built on the premise that you never see the alien creature that’s brining about the end of days – though apparently this only became the case in the editing suite because the alien looked so ridiculous rather than scary that it had to be cut out in order to keep the films tension. But let’s face it, this is a tension building technique as old as time, built on the premise that we fear the unknown. 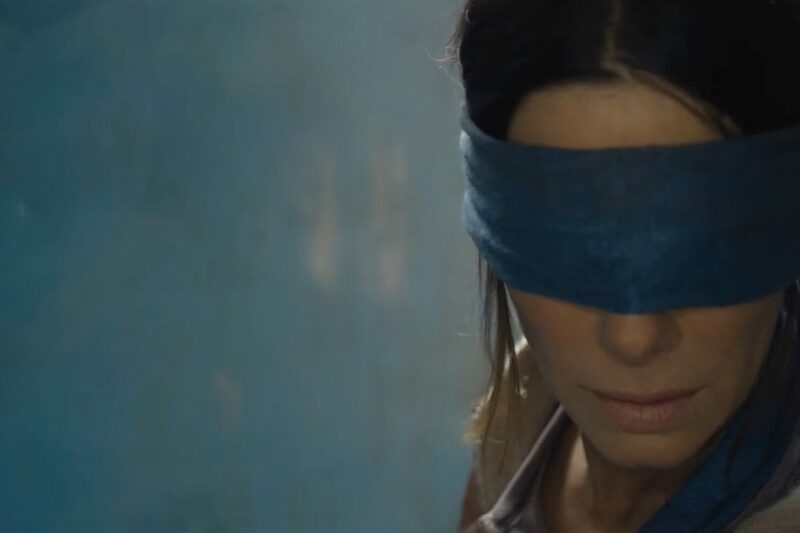 Most films build the tension by delaying the reveal of the beast, creature or whatever we are mean to fear and this was clearly the intent on the makers of Bird Box, so there was no originality in this regard in the original plan. The fact they don’t reveal the alien to us, is less common but again it’s not unique or unexpected. The problem is that because we’re so used to these suspense building techniques, they become a little less effective every time they’re used, to the point now that, for me at least, they have little effect at all. I need more than this to get my heart rate going. It’s also true that the idea of death being caused by the site of some creature is far from new (think all the way back to antiquity and Medusa). 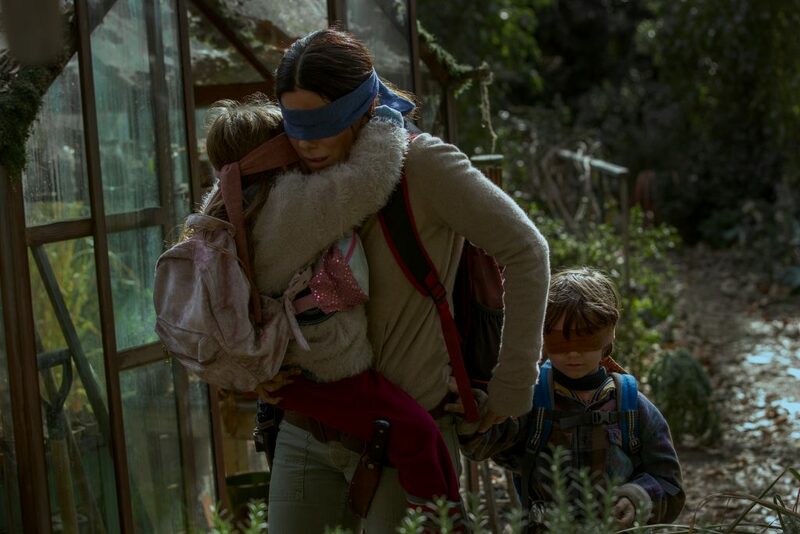 What’s more interesting and original is the idea of our protagonists having to be blindfolded whenever outside and learning ways to navigate in the world in order to stay alive. The problem is that this only makes up about 20% of the screen time, the majority of the film is set inside with blacked out windows. The most interesting aspect of what has to be done to stay alive aren’t really explored other than them talking about it. Too much of the time they’re in the house and safe. Yes danger finds them in it, but even that’s obvious given the way they build the earlier plot point, and what happenes in almost every film, book and TV programme in history where there’s a safe space for the protagonists. So other than failing in the main on the tension front, what is there that the film can offer? The family and children aspect could have brought emotion, but it only does at the very end, and that’s then weakened by the predictability of the ending. For the rest of the film the children aren’t a point of emotion for the viewer because they aren’t for Bullock’s character. She refuses to gets attached as she fears she won’t be able to keep them alive and they won’t grow up being able to manage their own survival if she coddles them. The problem is that while she is like this, the film gives the viewer nothing to make us attached to them so we don’t become so. Bullock is as ever very good in her role, but noting about it really challenges her, meaning it’s far from the tour de force we know she’s capable of. I wouldn’t say don’t watch Bird Box, you should. Maybe if it hadn’t been for the hype I’d be less critical of it. Just go into it with a reality check and don’t expect it to be the genre defining thriller that scares you half to death that most seem to claim it is. Invariably it will be nominated for loads of awards and win a handful of them, but really it shouldn’t.